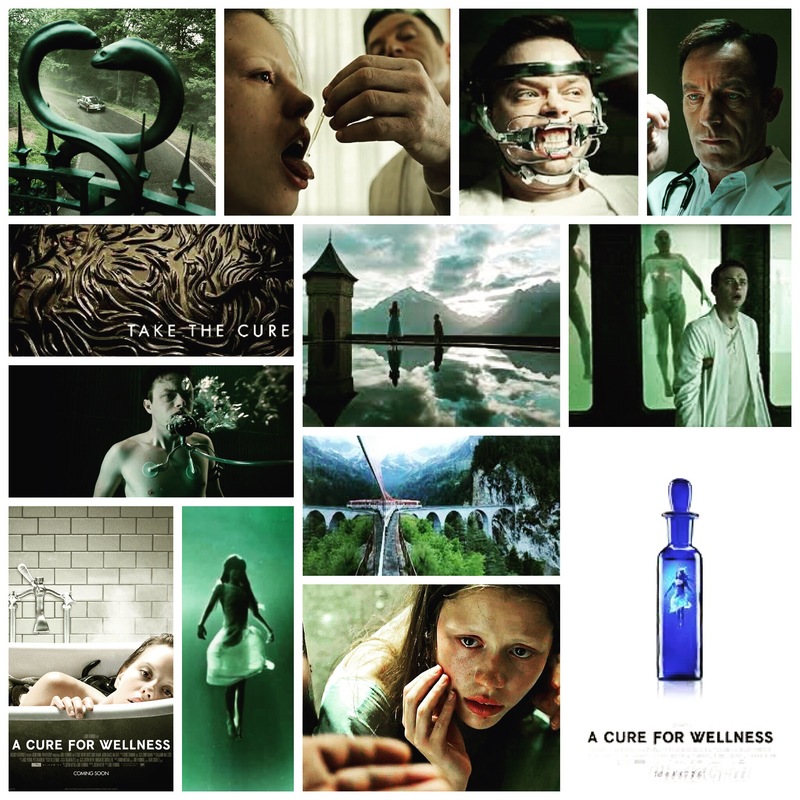 Gore Verbinski’s A Cure For Wellness is a tricky one to pin down or feed readers a review that will point in either direction. Parts of it are sleek, beautiful, scary beyond words and terrifically staged. Others are bombastic, out of left field and completely unwarranted. During the head scratching climax I found myself wondering aloud, ‘how did we get from where the film started off to… *this*??!’. It’s senseless, meandering and probably a bit too long as well, but despite all that, I kind of loved the damn thing, eels and all. When you see the name ‘Gore Verbinski’ as director, you know that the film you’re about to see is going to have a few distinct qualities: lengthy, ambitious, stuffed with ideas both visual and auditory, offbeat and usually in no way similar to the last film he did. He’s the king of variety, I love his work a ton and think he’s one of the most under appreciated directors out there. This is his stab at a grand old horror picture, and while he admittedly doesn’t get everything right, there’s much wonder to behold and keep the viewer mesmerized. I don’t believe I’ve seen a more visually sumptuous horror flick since Guillermo Del Toro’s Crimson Peak. This largely takes place in the Swiss Alps, and shot after shot is just cold beauty and immersive vistas, a beautiful terrain surrounding the facility where a young businessman (Dane DeHaan, who I’ve never really been a fan of, but his weird spindly goblin aura suits the material here) ends up, trying to extricate a senior member of his company back to New York for a life and death merger. Life and death are also key components of this establishment, or more-so the latter, as he will find. The place is an eerily calm self help retreat run by icy, devilishly charming Director Volmer (Jason Isaacs eating up scenery with ferociously measured relish). There’s foul play afoot, which is glaringly obvious from the moment the young man steps through the front door. That’s the thing about this film, or much of it anyways, there’s no surprises or unpredictability to be had. We know the sinister path of these types of shockers quite well, and it all seems so familiar. Then when the third act rolls around, we wish we didn’t hope for something deviating from that path, because the narrative pretty much sets the path on fire, runs off the map into it’s own deranged subplot that will shock, if not awe. The film has some truly icky moments, one involving eels and a dubious looking plastic tube that’s a squirmer for sure, and the sickly atmosphere in the air all about this hellhole in the heavenly mountains. There’s fine acting to be seen, not just from terrific Isaacs but also ethereal looking Mia Goth as a creepy young waif who’s presence the plot hinges on later. The end ramps up for something that ditches the clinical body horror and heads right into old school, Hammer Films style horror a la Frankenstein or something kinkier, and while jarring, I’d be lying if I said I wasn’t entertained or giving it the aghast slow clap of sheepish approval simply because the film had the balls to *go* there, without a care spent on whether we wanted to see such absurdities or not. I admire such brazenness in film. A curiosity of a flick, seemingly cobbled together from ideas that don’t always quite mesh, but are still fun to bear witness to. A mess, but a hot one, and a damn good looking one too, if all over the place.